An absolute mega privately-pressed rarity - 99 copies were pressed originally and these change hands for around £800. Its value is entirely due to its rarity: the vinyl contains pleasant enough concept pop with taints of psychedelia but it's nothing to rave about. All the words and music on the album were written by John M. Hudson, who handled the vocal and instrumental arrangements with the group. Chris Parren later played piano on George Michael's Careless Whisper. The Swank reissues (only a little over 100 were pressed) weren't taken from the original master tapes, which can't be traced and inevitably the quality suffers as a result. These, too, are now rare, but beware this album is no lost psychedelic nugget. The sound quality on the Background CD release is better, however. All words & music written by John M. Hudson. 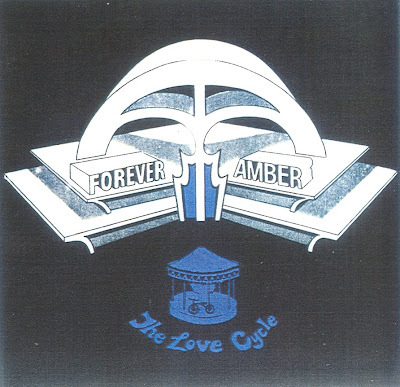 Vocal & instrumental arrangements by John M. Hudson & Forever Amber. John M. Hudson - piano, electric harpsichord (on 6, 7, 10, 12, 13, 14, & 15). Hi, I would be very pleased if you would help me restore the link for this album. My ears are very hungry to hear this album. Best. M.